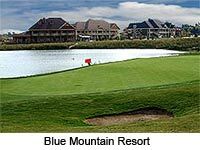 Ontario golf discounts, course information and web links designed to assist you in planning an Ontario golf vacation. Our Ontario golf courses and Ontario golf resorts section features information and links to assist you in planning a golf vacation in Ontario. We offer a variety of info on the amenities, prices and discount rates. This section of Two Guys Who Golf also provides you with pictorial Ontario golf course reviews, and info on golf stores and practice facilities in Ontario. You will find direct links to golf courses on both the detailed information pages and in the golf course reviews. We hope you will enjoy this Two Guys Who Golf section on Ontario Golf Courses and Resorts. Ontario Golf - ©1999-2019. Two Guys Who Golf (1370041 Ontario Ltd.). All Rights Reserved. Information and reviews on Ontario golf courses, Ontario golf resorts, Ontario practice facilities and Ontario golf stores.